Log cabin home situated on 11 private acres with an additional buildable 1 acre lot directly across the street. A perfect spot for entertaining family and friends. Vaulted ceilings, open floor plan with double sided fireplace. Master bedroom suite, and another full bath and bedroom on the main level. Two bedrooms and bath on the upper level. A large deck with hot tub overlooks the yard. 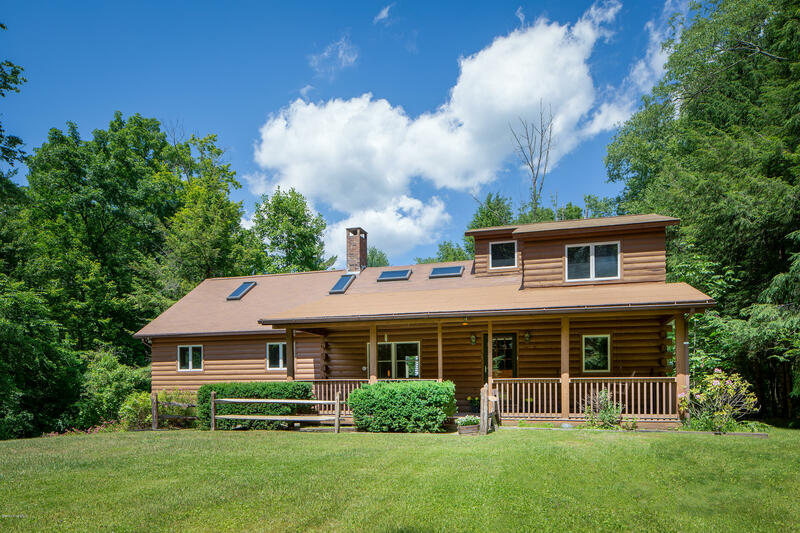 Close proximity to Ski Butternut and the town of Great Barrington.